Light Beams, also known as Photo Eyes have been used in a variety of applications for a number of years. 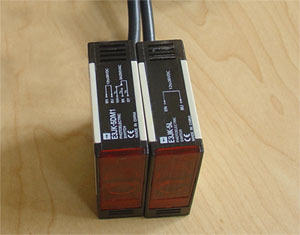 These sensors detect the presence of a person or object that interrupts the light beam by passing through its path. Typically used for threshold safety, entry notification and start-up activation, it has become a mainstay product for many industries from automatic door manufacturers to premises security companies.